Mice fed an antioxidant found in green tea epigallocatechin-3-gallate, or EGCG and corn starch had a significant reduction in increase in their blood sugar blood glucose levels compared to mice that were not fed the compound, according to Joshua Lambert, assistant professor of food science in agricultural sciences. 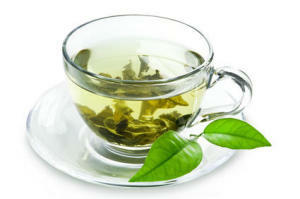 The dose of EGCG fed to the mice was equivalent to about one and a half cups of green tea for a human. Lambert, who worked with Sarah C. Forester, postdoctoral fellow, and Yeyi Gu, graduate student, both in food science, said EGCG was most effective when the compound was fed to the mice simultaneously with corn starch. For humans, this may mean that green tea could help them control the typical blood sugar increases that are brought on when they eat starchy foods, like breads and bagels that are often a part of typical breakfasts.